While the salt was 1.029 were the corals doing fine? How fast did you drop the salinity back to 1.025. If you did it fast well I believe that would be the problem since all your other numbers seem fine. I also have Nano tank and I only run my slimmer a couple hours during the day. Have you made any other changes to the lighting. What kind of lighting are you using? Here is a picture of the new coral I grabbed today I can not remember the name of it for whatever reason. Maybe you guys can help me out. I am surprised that his polyps are out already. He has been in the tank for about 3 hours now. Okay guys how have we been doing? I hope all your tanks are doing well. Today was the reef2reef coral swap here in Pittsburgh it was a nice turn out. So I was able to go up there and pick out a new coral. Even though my tank is rapidly out growing it’s self. Which brings me to my next question I am fragging out some of my frogspawn if you are interested please let me know. I was thinking 50 bucks a head I have 8 heads I am willing to sell. If you are interested in all 8 I can work a deal with you. @vlangel wow thank you very much. Only fish people get it. We understand how much work and money goes into these tanks. Friends and family come over and they say nice tank they dont really understand the whole thing. So thank you for noticing the hard work. Good luck on the 5 gallon. Things have been going well for me and my little ocean. I have started to get little patches of green hair algae which I have no explanation for. As all my tests are coming back damn near prefect. So I have just been pulling it out by hand. And doing water changes hoping that fixes the problem. Well it has been quite some time that I have been on here. Very busy with work but some how my tank seems to be doing just fine. 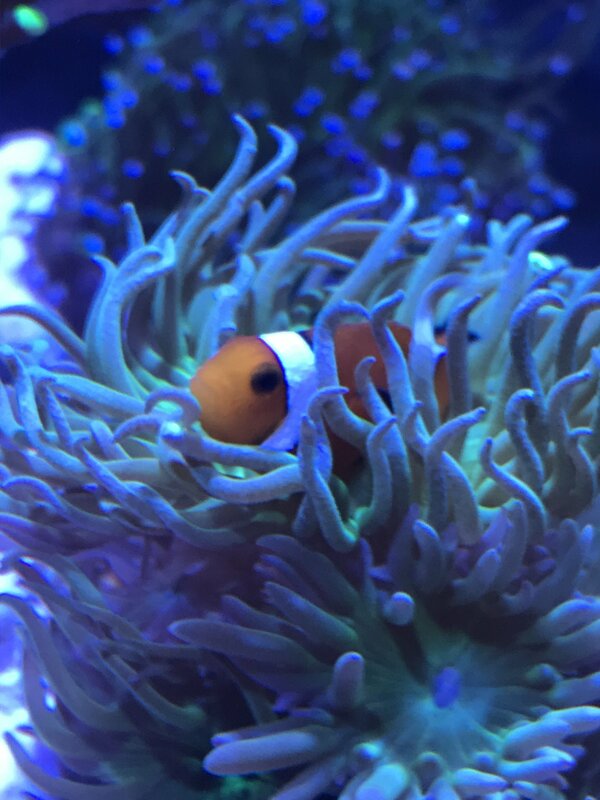 I am very annoyed that a rouge emerald crab gave my Duncan coral a hair cut. Meaning that is are some of his tentacles. 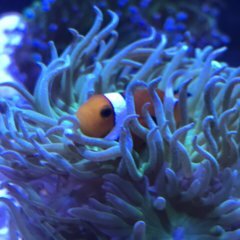 So the Duncan is recovering though which is a good thing as it is my favorite coral in the tank. My GSP are still being goofy and they are growing like a weed which I absolutely love. They have been closed up for two days now not exactly sure what their prom em is They have done this from time to time though so I am not worried at the moment. 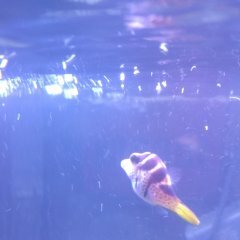 Per a lot of your request I did in fact sell back the yellow tang to the LFS. as he was getting a little to big for the tank. I have added in a bird nest which I absolutely love and a red flaming scallop Which is very cool. I love the way his gum like flashes blue. He has moved back in between two rocks so it is hard to get him on video and even harder to feed. But he is doing well. He is just a little video showing the tank.